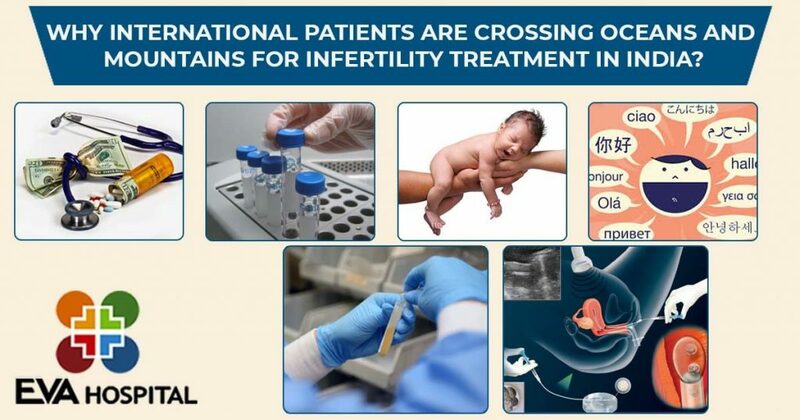 According to studies 1:8 is the ratio of infertility worldwide and childless couples ready to do any effort to make their dream of the baby come true this is the reason that international patients are flocking towards India for their babies. There is a great rise in the fertility tourism in the recent years as the people visit other countries to get the world best treatment and most of the people are flocking towards India for their treatment due to following reasons. In India, advanced treatment like IVF is available at reasonable cost and with the best quality so foreigners are preferring India for their treatment if we compare cost of IVF in a few countries like the US, UK and India then it is Rs11, 00,000, Rs 8, 00,000 and Rs 4, 00,000 respectively so you can imagine the cost is around twice in the countries like US and UK as compared to India. In developed countries there are many laws and rules for getting treatment with donor eggs, sperms or embryos and even surrogacy is also banned so patients come to India to get treatment without much formalities. In India, international patients can get treatment without any language barrier as here we have English speaking doctors and other staff that can assist international patients quite well. In India, with the use of cutting-edge technology, experienced and efficient IVF doctors international patients can get the world best treatment at the affordable cost so they flock to India for their babies. As in some countries, it is difficult to find the donor for eggs, sperms or embryos so the patients come to India for their preferred treatment even the single women come and get their baby with donor sperm easily. Even for finding surrogates also foreigners come to India as here it can be easy to get surrogate for your baby. Overall, India is topping all the developed countries in terms of quality, cost affordability, the efficiency of doctors and best services all these factors become the reasons to boom up the fertility tourism towards India.